The Democrats are lying about illegal immigration. They’re bending over backward to make you believe that there’s no crisis on the southern border. But illegal immigration from Mexico and Central America could incite an emergency scenario. The threat of disease from illegal immigration is very real. Corrupt and bloated government and lawlessness south of the border have created third-world conditions in parts of Mexico, Honduras, Guatemala, and El Salvador. As a result, illegal aliens stampeding toward the U.S. border have caused many problems, one of them being a public health crisis. Immigration and Customs Enforcement (ICE) had to quarantine 2,000 detainees for an infectious disease outbreak. Some illegal aliens fleeing these abject conditions are carrying illnesses that have long been controlled in America, such as mumps. The Democrats, who are now a party of open borders, along with far-left activists, are throwing gasoline on the illegal immigration problem. U.S. Border Patrol has been bombarded with endless flows of migrants. Another large caravan is hurtling toward America this very minute. Failed leftist policies in cities like Los Angeles, San Francisco, and Seattle have led to a spike in homelessness, and thus infectious disease outbreaks, such as typhus. The illegal alien crisis will only exacerbate that problem. In case America ever had to expand the quarantine beyond ICE detention centers, for any reason, make sure you’re prepared for such a scenario. Be sure to maintain proper hygiene. It may not seem like a big deal, but poor hygiene will create very serious health risks. This is especially true if you have pets; the typhus outbreak that has reached “epidemic levels” in Los Angeles was spread by fleas. So even if you don’t spend a lot time in “hot zones,” you could still be at risk by way of your pets. Stay stocked up on clean drinking water. You don’t know how long a quarantine could last, or how widespread contamination could be, so have a healthy stock of water. Also, be sure to have access to hot water. It may become necessary to boil food and utensils during a quarantine. Have plenty of bags and buckets for trash and waste removal. Unsanitary conditions are some of the quickest ways for preppers to fall ill and suffer grave consequences. Make sure you have a good supply of disinfectant to keep your living space clean. If you’re in a situation with an airborne pathogen, avoid going outside, and try to have a stock of masks to protect yourself against viruses and particulates. The ICE quarantines and homelessness aren’t the only worries. Not long ago, America had its first Ebola case. The likelihood of a deadly pandemic sweeping across America is relatively low, but it’s not impossible. But it’s better to be safe than sorry. Even less virulent diseases like mumps can do serious damage if not controlled properly. Take all the necessary precautions to defend yourself against dangerous pathogens, because Democratic politicians aren’t interested in seriously tackling border security or homelessness. Seems to me CDC is all excited about the wrong diseases; but illegals are bringing in many we should be worrying about seriously! Pelosi’s does for sure; photos and video have been taken; and so does O’s digs in DC, They all know walls work, and are just POLITICKING not concerned for the welfare of the citizens of this nation. The liberal politicians will never admit that there is lawlessness and an invasion of migrants in our country until they are personally impacted. What we are seeing happening to Seattle will spread as more people begin to live on the streets. CA governor Newsom looks the other way and is suing coastal towns in Orange County that do not provide land to build affordable homes. The other problem we are going to have is a food shortage. 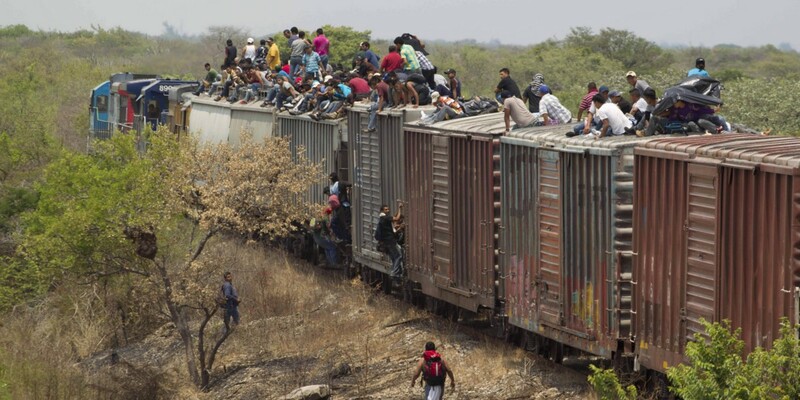 100,000 illegal criminals in 3 months averages out to a little over 1M in a year. Our ‘Bread Basket’ just got pummeled with floods, snow storms, land loss and cattle deaths in the thousands. It will take a couple years for them to recoup and start over. That means 3 years before they can produce, again. Our food supply is going to be terribly short even if you don’t factor in illegal leeches.